International exhibition on shipping, shipbuilding and ports development «Odessa 2019» will take place 18 - 20 September 2019 at the exhibition complex of Odessa sea port according to the event plan of the Organization of the Black Sea Economic Cooperation (BSEC). The event program will also include the international conference Sea and River Transportation. Shipbuilding. Issues of economic cooperation, functioning and development. Coordinator of the event is the Black and Azov seas ports Association (BASPA). The event is also supported by the Odessa regional State Administration, Executive Committee of the Odessa City Council, Black Sea International Shipowners Association, Danube Commission, ProDanube International, Intergovernmental Commission IGC TRACECA, Association of international forwarders of Ukraine, Ukrainian Logistics Association, European union of transport workers of Ukraine, Ukrainian Association for Quality, Federation of Employers in Transportation of Ukraine. 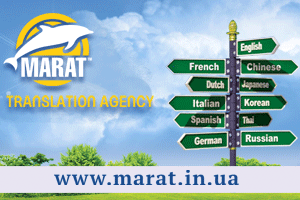 We invite you to take part in the most significant marine event of the Eastern Europe!